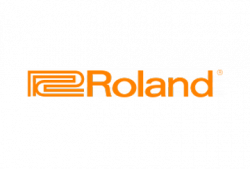 Roland is a world leader in the design, manufacture and distribution of electronic musical instruments including; keyboards & synthesisers, guitar products, electronic percussion kits, digital recording equipment, amplifiers and audio processing devices. To set up and drive a demand generation and conversion strategy for Roland, leveraging global activity to capture leads and working with channel partners to convert leads to achieve set sales targets. You will also be expected to create demand for European initiatives and generate relevant local content to engage target customers and nurture them towards a sale. Although we don’t sell direct to the end-user you’ll need an ecommerce / sales-driven mindset focused on sell-through and key conversion points to ensure all leads are followed up to maximise conversion via channel partners. You will lead a new team of demand generation and conversion specialists to execute programs across web, PPC, social, CRM, content marketing and the channel. This is a hands-on role and will suit someone with a strong background in Demand Generation/Performance marketing who is looking to join a company where they can shape and drive campaigns to deliver targeted results. Deliver marketing campaigns to meet acquisition and conversion targets via pipeline management, focusing on quality over quantity. Develop segmented lead generation activity (email) to increase the CRM database for personalized 1:1 communication. Analyze marketing and sales data working closely with sales and product teams to understand how our marketing activity turns into customers; develop insights and make recommendations on areas for optimization to meet revenue targets, continually refining processes to convert customers. Establish, maintain and optimize scalable processes that ensure best practices in campaign and lead management, e.g., analyzing landing page and email best practices. Leverage global initiatives to capture new leads from any and all forms of customer engagement (including converting social engagement and website traffic through calls-to-action, landing pages, and lead generation content including offers). Optimize our marketing automation and lead nurturing processes to walk these engaged prospects towards a sale. Identify and work with SU teams and key channel partners to align messaging and co-ordinated approach to help customer towards a purchase. Run tactical marketing campaigns to achieve key objectives (covering product launches, product campaigns, vertical demand generation campaigns and strategic brand awareness activities). Ensure local campaign approach aligns with global activity and integrates with wider media plans and digital marketing activities and programs. Use European CRM system for email campaigns, marketing automation and behavioural marketing. Experience in Social Media deployment and strategies (Web, LinkedIn, Instagram, Twitter, and YouTube).